Would you like Traveling Marla to send this postcard to someone special? Email me: marla at marlasinkdruzgal.com and tell me who, and why. Don’t forget to give me their address! I wanted to post a few of the cards I received since putting out the post-card challenge a week or so ago. I’m also going to post the card that inspired the post itself. I would love to hear from any of you who sent a letter or postcard to someone other than me. As a thank-you for embracing the challenge and reading my posts, I’d like to send a few postcards from Traveling Marla to a friend of yours. 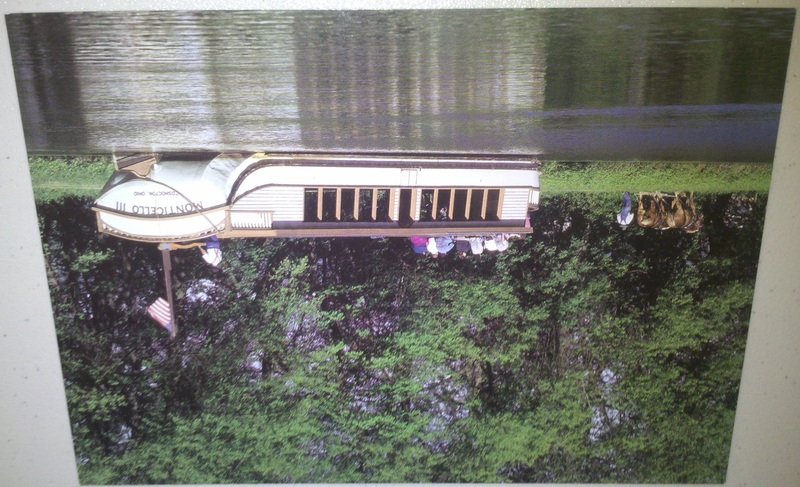 So Challenge#2 – email me (marla at marlasinkdruzgal.com) with the name and address of someone who you think could really use a handwritten postcard, and I’ll pick three to receive this postcard I picked up while taking a canal boat tour here in Coshocton, Ohio. Also – if any of these cards are from you, and you don’t mind being publicly acknowledged, let me know and I’ll update the post to include your name. Would you like Traveling Marla to send this postcard to someone special? Email me: marla@marlasinkdruzgal.com and tell me who, and why. Don’t forget to give me their address! The postcard that started it all. Read the original post-card challenge on my blog to understand just how perfect this card was. A beautiful welcome to Ohio postcard, selected just for the challenge and time of year. An international postcard responding to the challenge, with the reader’s funny and awkward words meant to entertain the postman.